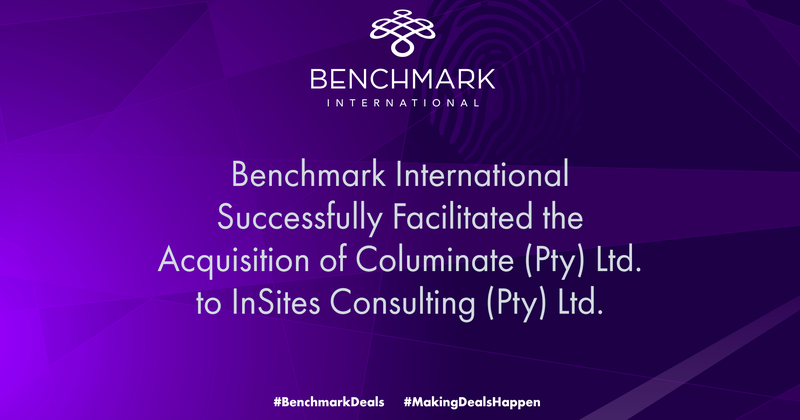 Benchmark International Successfully Facilitated the Acquisition of Columinate (Pty) Ltd. to InSites Consulting (Pty) Ltd. Benchmark International is pleased to have successfully facilitated the acquisition of Columinate (Pty) Ltd to InSites Consulting (Pty) Ltd.
Columinate (Pty) Ltd (“Columinate”) is a highly awarded marketing research agency that provides quantifiable information to businesses in order to improve decision-making. The brand conducts its work exclusively through digital means – a methodology pioneered by Columinate in South Africa and where the business continues to be a proven leader in the space. The company employs a highly skilled team of over 40 research professionals and boasts a loyal and well-curated client base consisting of a diverse collection of both local and multinational customers. InSites Consulting (Pty) Ltd (InSites) is recognised among the top 100 largest and top 10 most innovative market research agencies in the world. The agency helps global brands to make better and faster marketing decisions, combining smart digital technology with contemporary marketing methodology. InSites is now present on four continents with eight client service offices in Belgium, the Netherlands, the UK, the US, Germany, Romania, Australia and South Africa. The transaction sets the groundwork for both businesses to leverage off each other’s mutually advantageous basket of services while instantly expanding InSites footprint and reach into South Africa and the broader African market. Commenting on this, Andre Bresler of Benchmark International said: “This transaction evidences a defined trend whereby market leading businesses in all sectors have recognised the opportunities the African Market represents in the context of their own global clients and ability to service them internationally. Aside from the powerful synergies, the cultures of the two businesses are wholly aligned and we are equally delighted for Insites and Columinate both”. On November 12th, 2018, capital providers from across the country will be attending the Association for Corporate Growth Capital Connection in St. Petersburg, Florida. In addition to manning its exhibit table, the Benchmark International team in attendance will be holding one-on-one meetings with over sixty different strategic and financial acquirers. The St. Petersburg Conference will be Benchmark International's fifth US Capital Connection exhibition of the year. 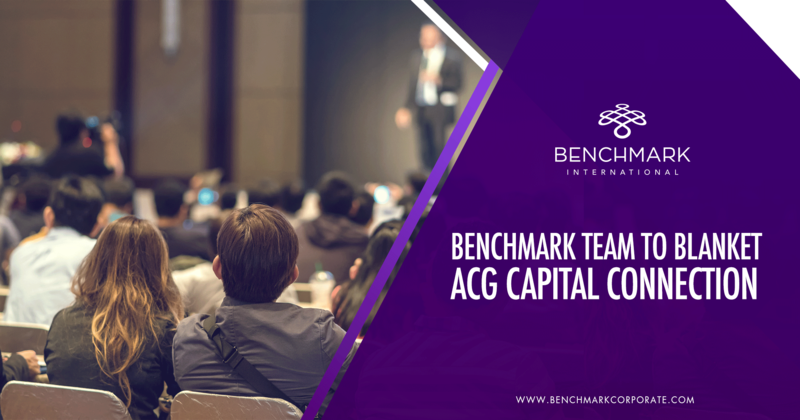 If you’ve been unable to schedule a one-on-one with our team, Benchmark International’s booth will be in the exhibitors hall and manned from three hours before the conference starts until three hours after it ends. You can also call +1 813 898 2350 to schedule an appointment. With 2018 soon drawing to a close, you may have begun considering your exit or growth plans for your business for the year ahead. Would you like to be showcased to leading dealmakers with strong, acquisitive appetites? Naturally, we present only a select number of companies for each event, so we would encourage you to contact us now to ensure your business is included. 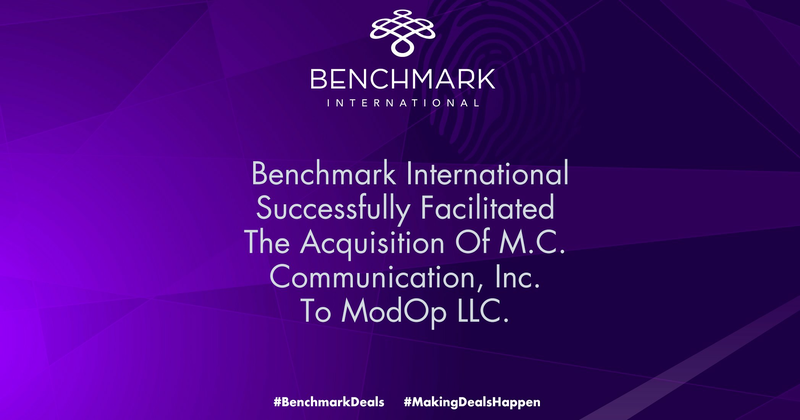 Benchmark International has successfully facilitated a common ownership transaction amidst NISSCO Restaurant Dealer Group and Excell Marketing and Procurement Group.